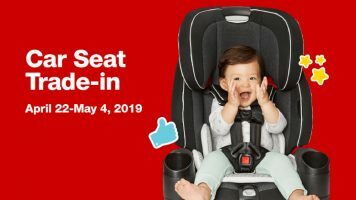 Customers who are interested in participating in the trade-in can bring their car seats and pick up their coupon from Guest Services, located near the Target entrance. The coupon will be valid through May 11, 2019. Those interested can see a Guest Services team member for more details.